Thanks to the passcode, our data on the digital devices or websites has become safer. Yet as there are so many different passwords for different gadgets and sites need to be kept, it is very possible to forget one. If have forgotten your iPad's passcode like Jerry, don't worry, we're going through 3 efficient ways to help unlock iPad screen lock in this post. When you're locked out of your iPad and forgot the passcode, one of the best ways is to use a professional iOS passcode unlocker and Joyoshare iPasscode Unlocker is such one. It enables you to bypass iPad passcode in a few minutes without any hassle. The interface is clear and everyone can easily handle it, no technical skills required. 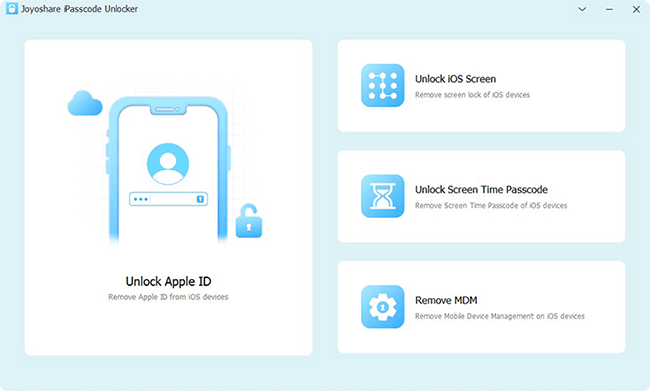 No matter your iPad is locked by a 4-digit password, 6-digit passcode, or more complicated Touch ID and Face ID, Joyoshare iPasscode Unlocker can remove the screen lock in 3 easy steps with no difficulty. 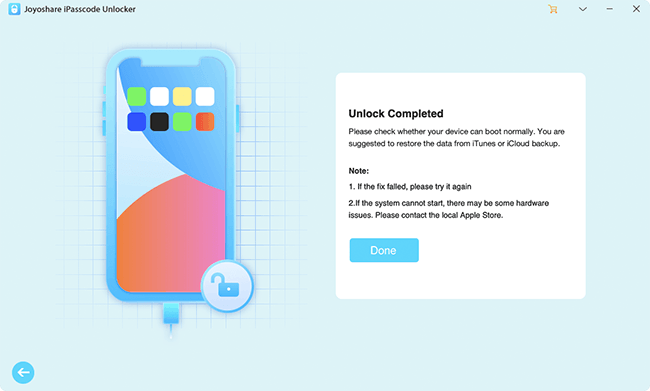 Besides iPad, this program can also remove screen lock from iPhones and iPod touch in different situations such as disabled second-hand iPhone, broken screen, etc. The following is the step-by-step instruction on how to crack iPad passcode with the help of Joyoshare iPasscode Unlocker. Please note that by using such kind of software will erase all the data on your device in order to remove screen lock. First of all, go to the download page of Joyoshare and install iPasscode Unlocker to install in your PC or Mac. Open Joyoshare program and use an original USB cable to connect your iPad to the computer. Joyoshare will automatically recognize your device. 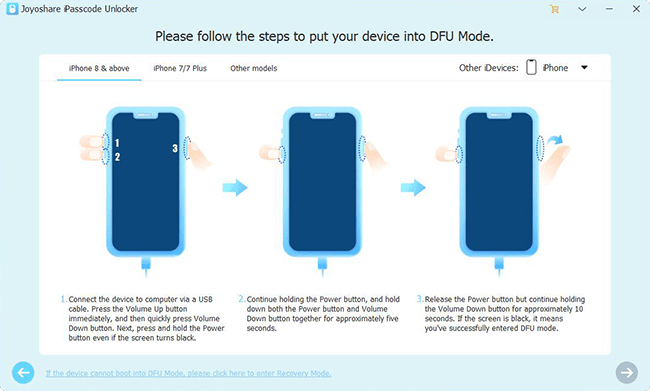 Next follow the screen instruction to get your iPad into the DFU or recovery mode. Then click the "Next" button to proceed. 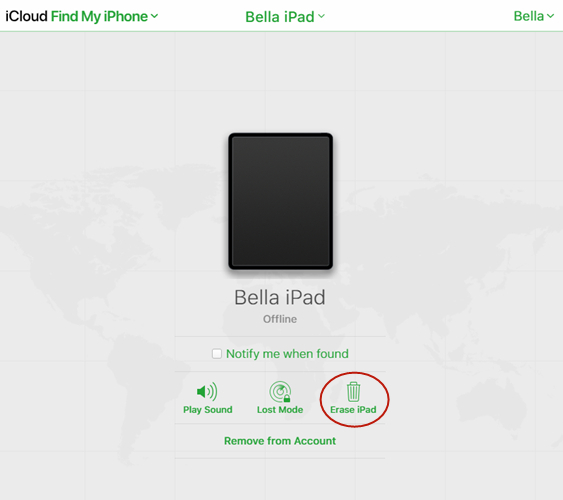 Once your iPad entered the DFU (or recovery) mode successfully, all info about the device will be detected. Correct it manually if there is something wrong. 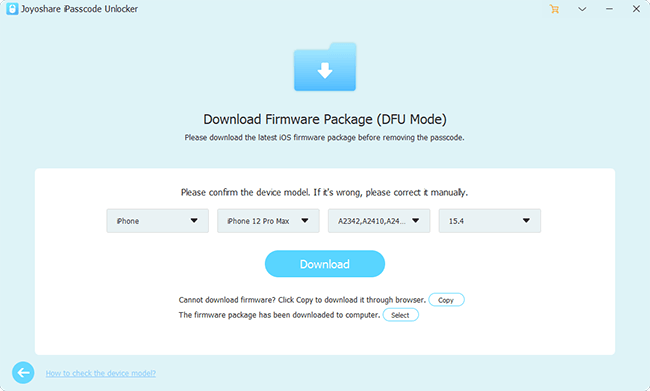 Now it's time to press the "Download" button to download the firmware package and verify it. Wait until the downloading and verification process ends. Next just click the "Unlock" button to unzip firmware package and then unlock iPad passcode. A few minutes later, your iPad passcode will be removed and you'll be able to access to your iPad again. 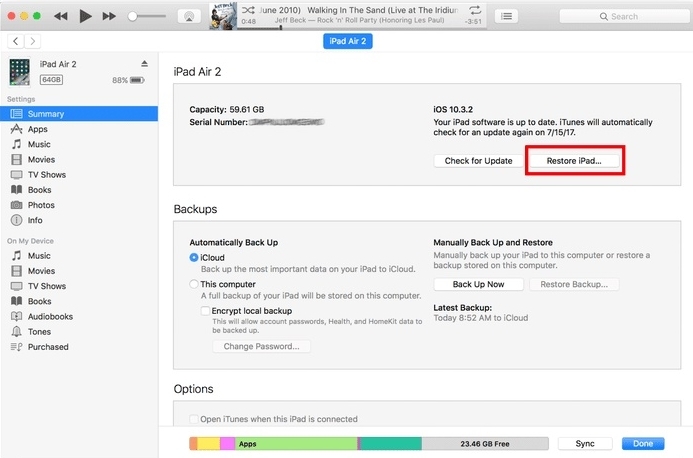 Step 3: Now iTunes will erase your iPad and reset it to the factory settings. When the process is finished, all your data will be gone and your iPad will be unlocked then. Part 3. How to Unlock iPad via iCloud "Find My iPhone"
Step 3: Click the "Erase iPad" option to efface your iPad as well as its passcode.